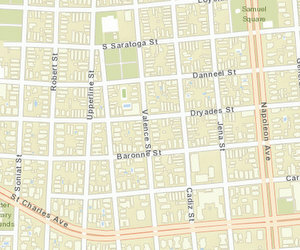 Monday’s robbery does not yet appear in the NOPD crime maps. A man in his late 60s was robbed just before sunrise Monday morning on Baronne Street, New Orleans police said. The victim was in the 4500 block of Baronne Street (between Jena and Cadiz streets) shortly before 6 a.m. when he was confronted by a man in a ski mask and dark clothing who demanded his belongings, according to the initial NOPD report. “The victim complied and the suspect fled in a dark-colored SUV down Baronne Street towards Valence Street,” the report states.